Our clients are individuals and families who embrace life in its fullness and who are passionate about their commitments to family, faith, community, and their own ongoing self-development. They live busy lives, and regardless of their age or stage of life, they are young at heart. They have spent their lives committed to hard work and are devoted to family, friends, and the greater community. 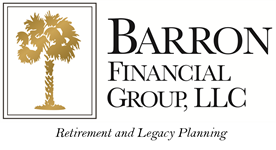 Our clients have been successful in their lives and finances and want to simplify and consolidate their life savings and implement sound strategies that will help them protect, grow, and eventually transfer their wealth to those they love and the causes they care about. Many of our clients are experiencing a life transition and are concerned about the multiple risks they face in rearing a family, caring for parents, or entering retirement. These include concerns over market volatility, changing social and economic conditions, high taxes, outliving assets, or the possibility of a catastrophic health care event. Our clients are looking for peace of mind in an ever-changing world. Our clients value a comprehensive, disciplined approach to financial planning that is committed to mitigating the myriad risks they face. They are motivated to make proactive changes in order to meet the challenges they face by developing meaningful, achievable goals and implementing a plan that puts them confidently on course to actualize their dreams and successfully reach those goals.